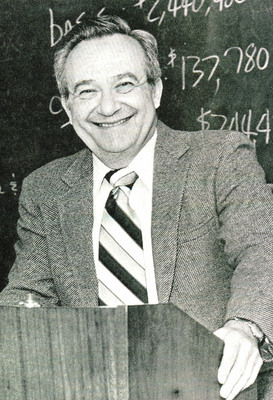 Emeric Fischer joined the faculty of the Marshall-Wythe School of Law in 1965 and served as the Acting Dean from 1975-1976. He received a B.S. from the University of South Carolina in 1952 and served as a C.P.A. before entering law school. Fischer received both his J.D. (1963) and Master of Law in Taxation (1964) from the Marshall-Wythe School of Law as well as serving as the Editor in Chief of the William & Mary Law Review during the 1962-1963 school year. Emeric Fischer's publications are available here.